Homegird's recent post, An Independent Point of View: Shedding New Light on G.hn Capabilities, implies that Comcast is recommending G.hn. They do this by referencing the sponsored post, "The impact of mobile: Is your network ready for the wireless working revolution?". "Comcast presented G.hn as a simple and easy-to-use solution that provides cutting-edge home networking over any wire in the home. " The only problem is that Comcast never presented anything of the like in the sponsored post. The post was 100% the handy work of ITProPortal's contribute James Morris. 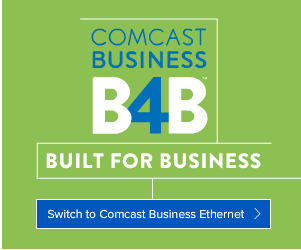 The only involvement of Comcast was that its business to business subsidiary, Comcast Business, paid good money to have a big fast advertisement stuck in the middle of post. To be fair, Homegrid's post did mention, two times, that the sponsored post was paid for by Comcast Business. I guess Homegrid's editors forgot this when they decided to put a G.hn spin on the original sponsored post. tl;dr Or, to be charitable, maybe Homegrid does not understand that a sponsored post is just a paid advertisement in a post.